Activision announced that their multi-billion dollar first person shooter franchise: “Call of Duty” will be launching as a free-to-play version in the Chinese market. 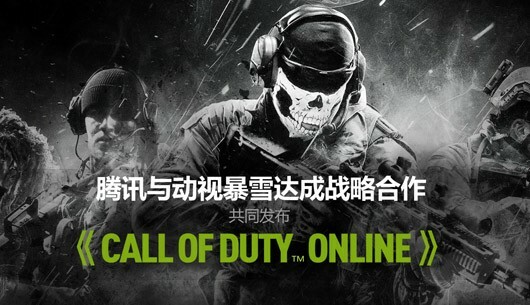 The F2P version will be released by Activision in a partnership with Tencent and will be titled as “Call of Duty Online”. Image from the game’s teaser site, the site contains no other information. There have been rumors going around for more than 18 months about the COD franchise being targeted in the Asian market. Last night, there were rumors about Activision planning on doing an early reveal of Black Ops 2’s multiplayer and to add to the confusion, they had registered a number of internet domain names; blackopschina.com, blackopschina.net and modernwarfarechina.com, to name a few. And a few hours ago, there was a new trailer going viral on the internet. The trailer confirmed that Activision are indeed planning to introducing this free to play game to China exclusively. Call of Duty Online’s debut trailer shows that the game would function and even look like Call of Duty Multiplayer. The trailer shows off the most played maps from Call of Duty 4: Modern Warfare, Call of Duty: Modern Warfare 2 and there seem to be some glimpses of a few Black Ops maps. As the title suggests, the game would be multiplayer only. It would be a Free-to-Play, meaning the game can be downloaded and played for free. Additional weapons and perks would be available for purchase through an in-game store. There are also speculations that the game will have its own Single Player campaign based on some “Spec Ops” missions. Activision had plans to expand into the Chinese market for quite some time. The first CoD game focused on the Chinese market, as an online Free-to-Play game, seems like an effective strategy as the most played games in the far east seem to be free-to-play online role playing games which can even be accessed from one’s browser. Such F2P online browser games provide virtual goods like weapons, armor and etc to the players for a real small amount of money.